Liam Neeson is bringing his special set of skills to a new franchise. According to Variety, Neeson has entered into talks to join the cast of the Men in Black reboot movie. Thor: Ragnarok stars Chris Hemsworth and Tessa Thompson are reuniting for this Sony production with F. Gary Gray directing. Matt Holloway and Art Marcum are set to write the script. Neeson, who is best known for playing the everyman who is capable of extreme violence when need be, will be taking on something very different for this role. The Men in Black movies are mostly action comedies, which is not something that Neeson usually takes part in. However, he would make for an excellent straight man for lots of jokes. 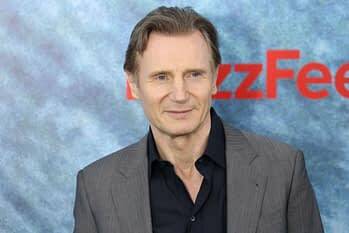 Neeson will play the head of the U.K. branch of the agency. Rip Torn portrayed the head of the American division in the original pics. According to Variety, the project is being fast tracked now that they have stars and a director and currently has a release date of May 17th, 2019. We don’t know much about the movie other than it will take place in the same universe as the previous three movies led by Will Smith and Tommy Lee Jones; however, there is no indication that Smith or Jones are looking to return to the franchise.